For a designer just finishing up at University, standing out among the sea of young designers can present a challenge. One way to get attention is to win a Red Dot Design Award. Another way? Have scores of followers and consistently good work on Instagram. Abidur Chowdhury is fortunate enough to check both of these boxes. Chowdhury was born and raised in London, where he first gained an interest in car design at age 14. It was from cars that he learned about industrial design. 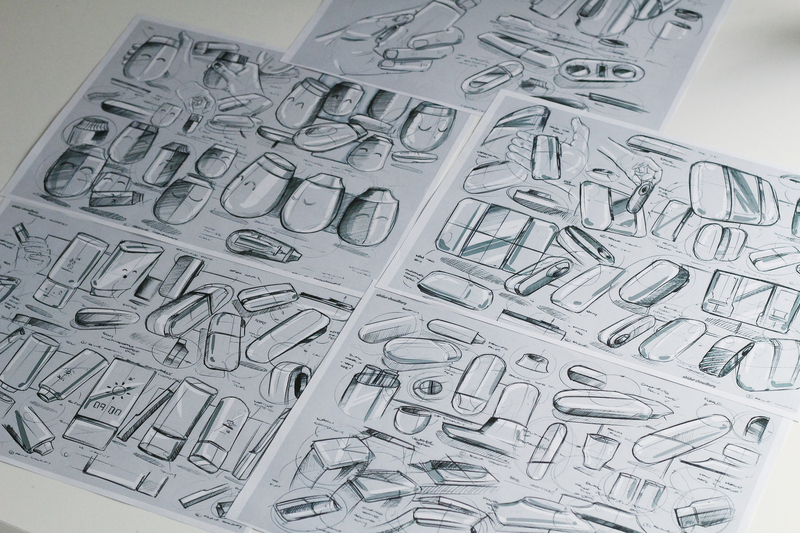 “I never thought of products being designed, but the idea sounded amazing,” he says. “I’d much rather design a lot of different things than be stuck doing one thing.” His experience growing up in culturally-diverse London is sure to come in handy in that regard: He’s already had years of exposure to a variety of artistic viewpoints, from graffiti to classical art and architecture. However, unlike many industrial designers, not one member of Chowdhury’s extensive extended family is a designer, engineer, artist or architect. He didn’t have any personal exposure to the craft, nor did he start experimenting with building or designing at a young age, instead helping out with the family business. But his passion was undeniable, and he fought to go to school to become an industrial designer rather than a doctor. We were first introduced to Chowdhury’s work by Wang (Hoang Nguyen) from Creative Sessions, who noted that Chowdhury was at the top of his list of popular Instagrammers with amazing ID work. He has more than 40 thousand followers and has posted more than 250 sketches. It’s clear from his work that he has strong design sensibility in both graphic and industrial design. We reached out to Chowdhury to find out more about his success on Instagram, his UK education and influences, and his plans for the future. Airgora: When did you start sharing work on Instagram? What prompted that and how do you feel about the experience so far? Chowdhury: I started posting to Instagram more than a year and a half ago. I was just finishing my second year at University, and I was really happy with where I was in my education. 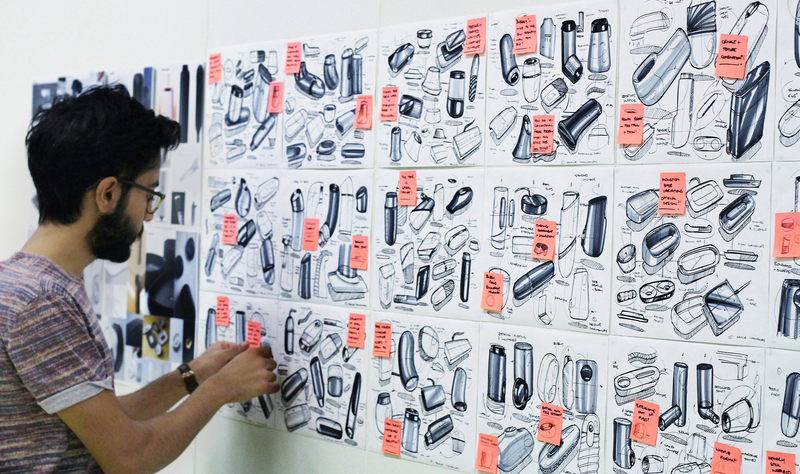 Then, I started my first internship, and I noticed that compared to more senior Industrial Designers who had been there a while, I was so far behind on everything--from design thinking to skills. That prompted me to work really hard in my spare time and push myself to improve. From a Pinterest board, I found out about Instagram. At the time, I didn’t know industrial designers used IG. I came across Reid Schlegel [Senior Industrial Designer at Frog Design] and saw he had 10,000 followers at the time. I thought, “Wow!! He’s famous on Instagram.” All of the comments on his posts were very supportive. That helped motivate me to post regularly, and to practice regularly to improve my design skills. Spencer Nugent [of Sketch-A-Day] is also a big inspiration to me. I try to post consistently and keep my work to a good standard, which I think is why the feed has become popular. Airgora: How is the ID community online? Chowdhury: It’s been very positive and inspirational. Every time I see something amazing, I want to do something great too. And you get so many comments with positive thoughts. It’s also a great place to get critical feedback, since you build connections with other people. If you reach out, they may find the time to critically look at your work. That bond is built from mutual respect through Instagram. Airgora: Here at the California College of the Arts, we tend to use a lot of software after the first year, but you seem to sketch a lot of iterations before jumping on the computer. Do you always visualize them on paper first? Chowdhury: Some people are really quick to jump into CAD (Computer Aided Design), but I think you need to sit down and think about it, and try to communicate it to everyone else before you jump into really polished work. Otherwise, you can waste a lot of time. With a quick sketch, if you can express it well, you can get a lot of valuable feedback. Airgora: Did you start drawing when you were little? 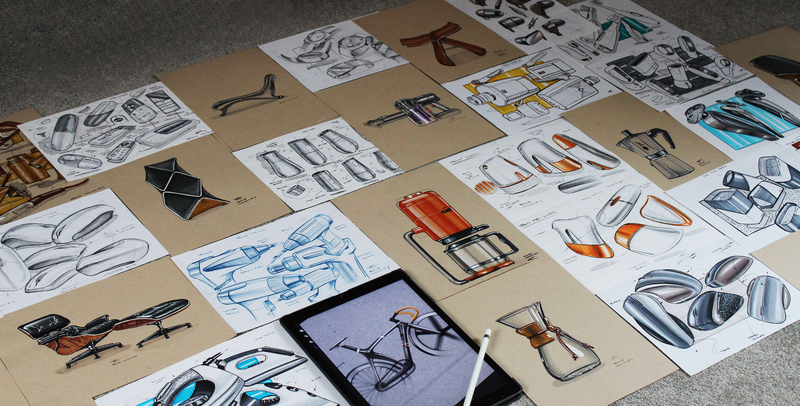 Chowdhury: I didn’t learn to draw until I started researching what skills were needed for industrial design. So before I started University, I started following blogs to get immersed. Then I started drawing perspectives and experimenting with CAD. In a sense, I built up my skills so that I could go to school prepared. Airgora: Is there some concentration or prerequisite at your University? 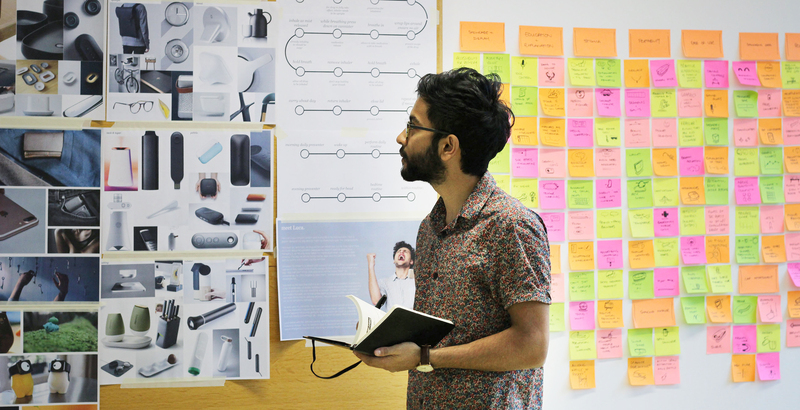 Chowdhury: First year is mostly getting you up to speed on design thinking. The majority of it is sketching, model making and doing research properly. Later, there’s electronics, mechanical, ergonomics, materials and CAD. They try to make sure you have all the core skills before you diverge into other things. Airgora: Some of the most brilliant designers come from the UK. In your opinion, what has the design education there done to produce them? Chowdhury: Historically, there have been lots of famous older designers from the UK. I think that the education now is good in a lot of places. I would have loved to have studied some in the States so I could compare. The UK has big breadth of design education, from focus on the arts to focus on engineering. Each University makes it very clear what they teach, so it’s up to you to choose. Airgora: Are you working on a final project? 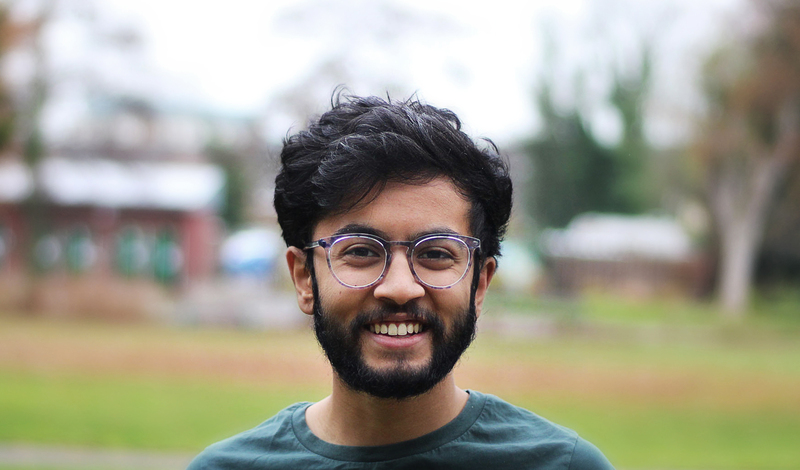 Chowdhury: Yes, I'm working on an asthma management system that aims to combat the fact that as many as 70% of all patients don't listen to the full instructions of their doctor, and only one-third of the patients are using their current inhalers correctly. This results in a really low level of treatment success rates. It's estimated that three-quarters of the total costs of asthma (e.g. hospital visits, missed work and school, etc.) are due to poor adherence. My asthma management system aims to facilitate and encourage users to be more compliant with their medication through education about their condition, connectivity and the system’s ability to integrate into their lifestyle. It accomplishes this with simple, informed information on the use of their medication, greater convenience through portability and gentle reminders to take the medication as directed. Airgora: Do you have a preference on a specific part of the entire design process (design, brainstorming, sketching, etc.)? Chowdhury: It’s a bit in between. I really like coming up with concepts -- I think gathering data through market analysis and user research and coming up with useful ideas is really enjoyable. Those initial stages with kind of “baby ideas” is extremely fun. Airgora: After you graduate, what kind of firm or team do you want to work for? Chowdhury: I have some companies in mind, but at the moment, I’m not sure. I haven’t sat down to really research and rank the places. But I’m really open to anywhere. Or to design anything. I want to be challenged, to have work life balance and to do some interesting and fun work. Plenty of places will work for that! Airgora: What types of challenges are you most looking forward to? Chowdhury: I’d like to create genre-defining products. Things that are crazy and awesome and really challenging for people to get their heads around. That could be either redesigning something that hasn’t been redesigned in a long time, or creating something completely new, like a lot of the products coming out of Silicon Valley. First of its kind is always cool to see, but it’s also good to see the products that are the best of their function. Those would be really interesting and fun for me.